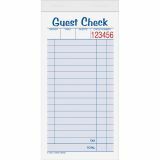 TOPS 2-part Carbonless Guest Check Books - Guest Check Book ensures proper documentation of important sales information. Includes a space to itemize order and to list amount and cost. 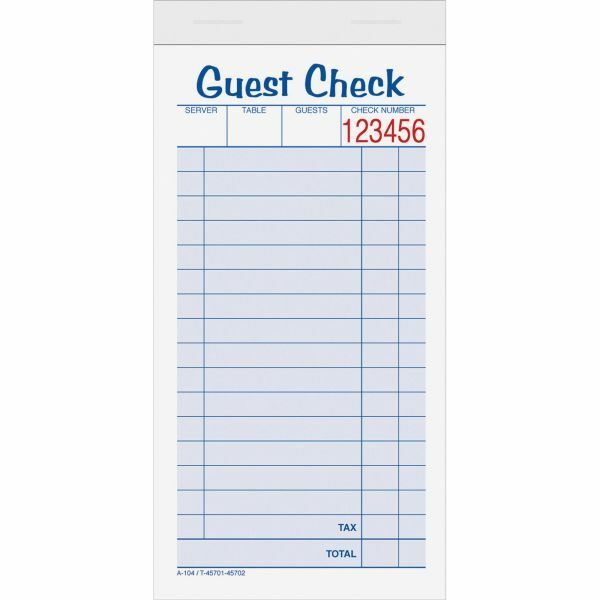 Each consecutively numbered form also has space for the total cost, waiter, number of persons and table number. Carbon-copy.